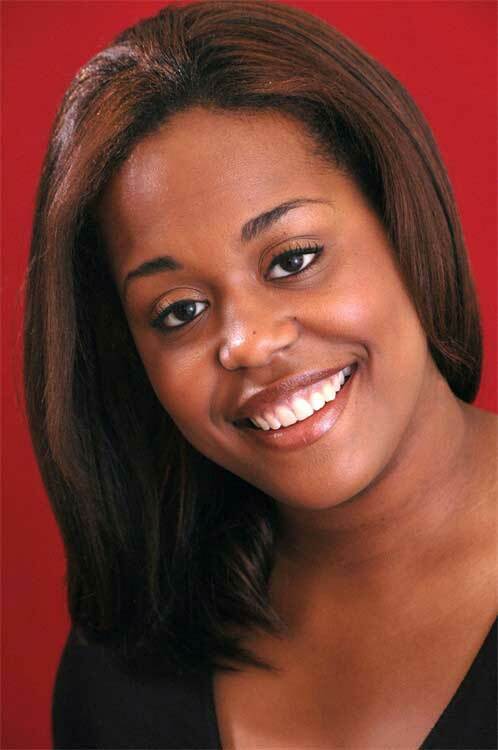 Brittany Ann Reneé Robinson has been praised for her “shimmering and brilliant coloratura.” She received her bachelor and graduate degrees from the Peabody Institute of the Johns Hopkins University. Now in her second season with FGO, last season, in addition to appearing as Zerlina in Don Giovanni, she covered the roles of Olympia and Antonia in Les contes d’Hoffmann and Roxane in Cyrano. She has performed with such companies as Chautauqua Opera, Opera Theatre of the Rockies, Bay Area Summer Opera Theatre Institute (BASOTI), the American Institute of Musical Studies (AIMS), Peabody Opera, and the Baltimore Municipal Opera. She has sung the Queen of the Night in Die Zauberflöte, the title role in Lakmé, Blondchen in Die Entführung aus dem Serail, Lucia in Lucia di Lammermoor, Cleopatra in Guilio Cesare, Alice Ford in The Merry Wives of Windsor, and Mrs. Nordstrom in A Little Night Music. She is also an accomplished recitalist and has toured with the Siena Chamber Orchestra. Ms. Robinson’s awards include the Denver Lyric Opera Guild Competition Award Winner and Scholarship Recipient, Regional Finalist in the Metropolitan Opera National Council Auditions, Semi Finalist in the AIMS Meistersinger Competition, Pikes Peak Opera League Grant Winner, and Second Place in the Leontyne Price Vocal Arts Competition for Emerging Artists.